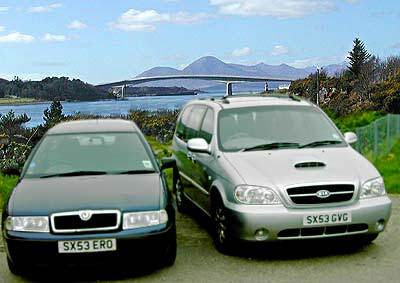 Kyle Taxi company is a family run business with many years experience in transporting people throughout Skye and Lochalsh. Based in Kyle of Lochalsh we are ideally situated for people wishing to come into the Skye and Lochalsh area. The Kyle Taxi Company offers a transport service for all journeys short or long in comfortable taxis that can seat 4 or up to 8 people. All Scotrail stations and Scottish airports catered for. Taxis available any hour, day or night by arrangement.